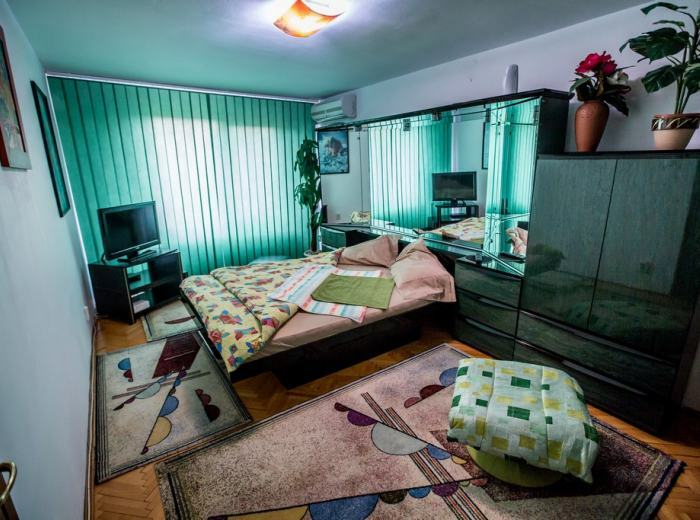 Book now in Timisoara your home away from home! 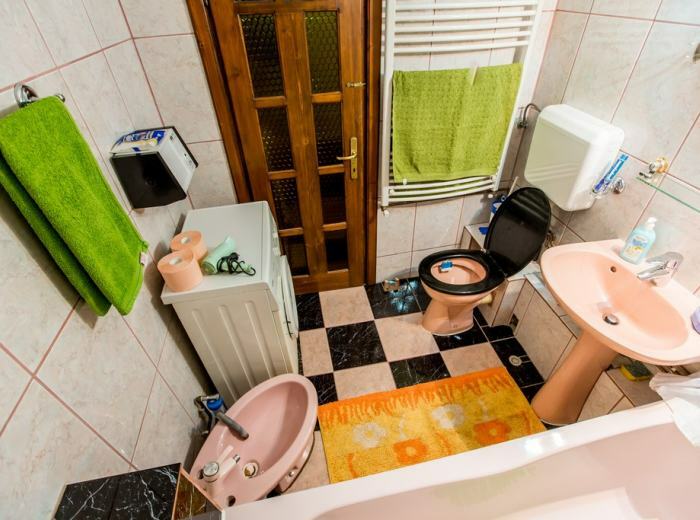 Mandatory cleaning fee of €20 for every booking . 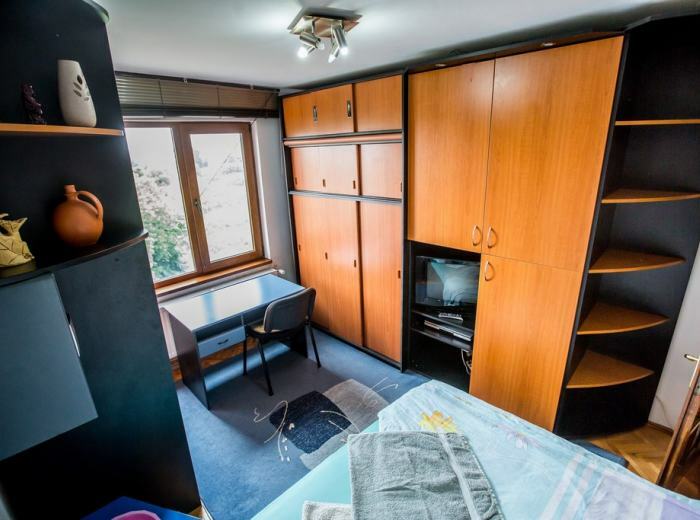 Self contained studio-flat no. 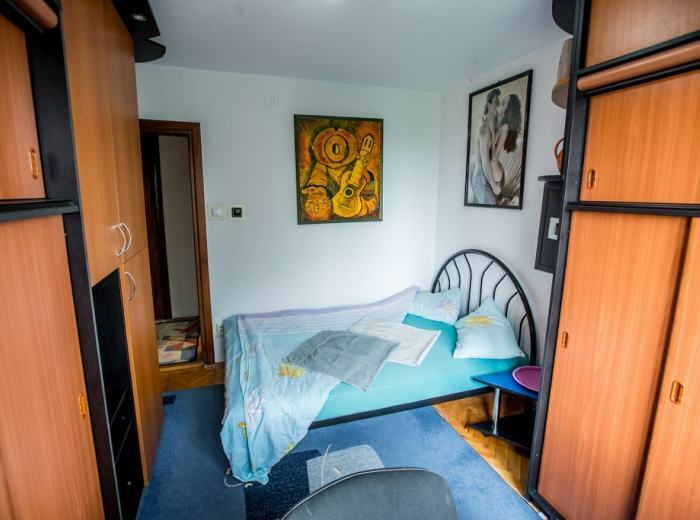 3 (close to apartment no.1) is economical, cheaper and is it located near the Student Campus, in central area, very close to the city center (700 m), within 10 minutes walk. 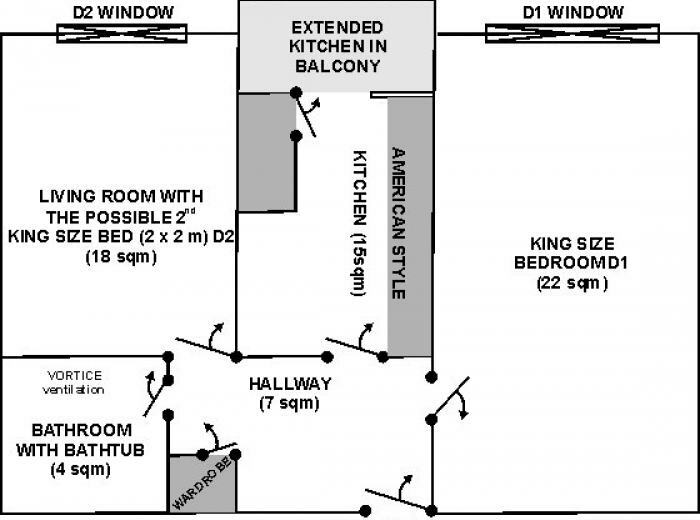 It is located on the 5th floor of a 6-storey building with elevator. 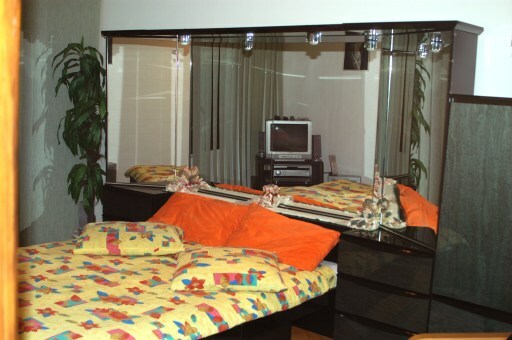 Studio 3 is recommended, as a short time rental apartment, for one person, a couple (2 people) or even for a family (max. 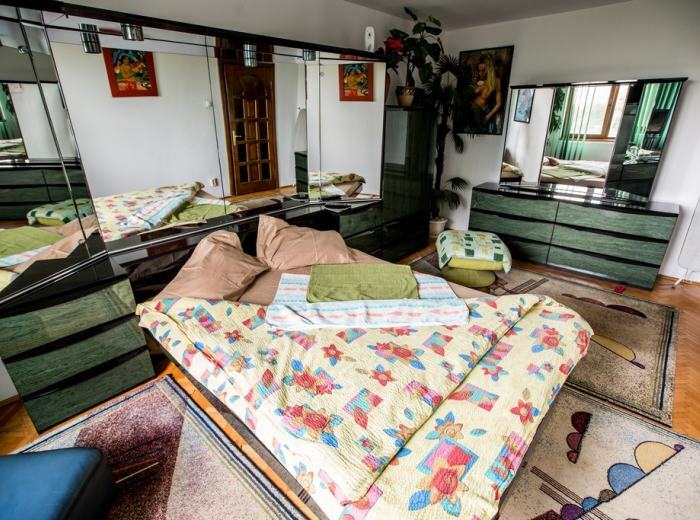 4 people) as it has one big bedroom and living room with a sofa bed (2 x 2 m). If studio no. 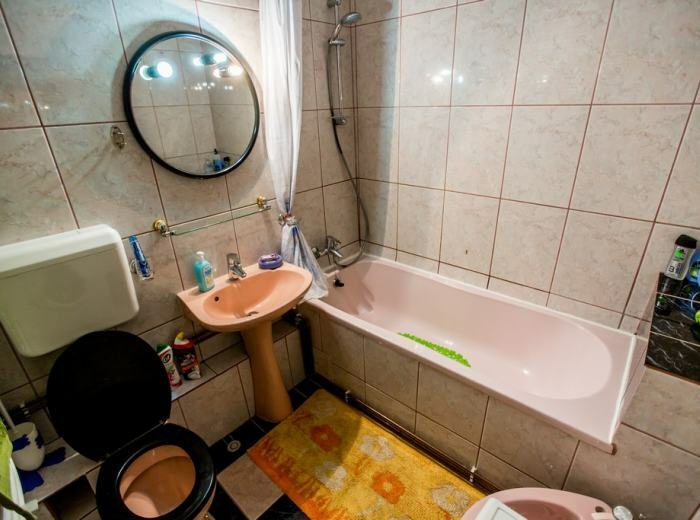 3 is rented to a single person, (s)he will be given the exclusive right to use the entire apartment that will not be rent to other persons simultaneously. 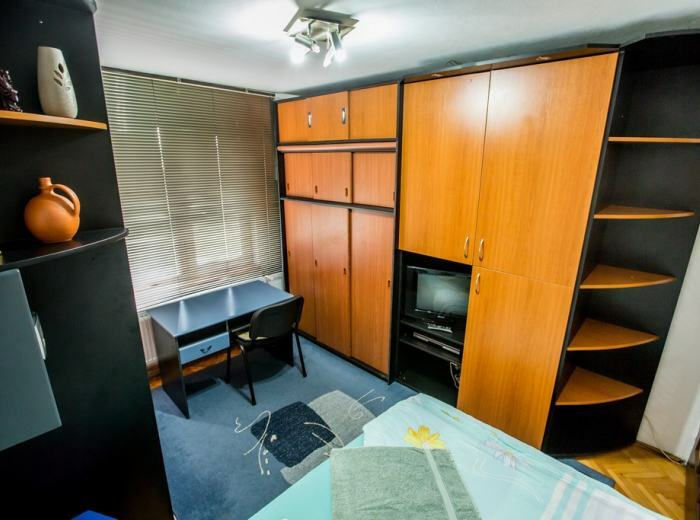 Recently renovated, it is a nice short term rental apartment, well positioned as an accommodation location and properly equipped with everything you need for your business trip or your holiday. ● maximum security: alarm and a metal door at the main entrance with key that can not be copied. 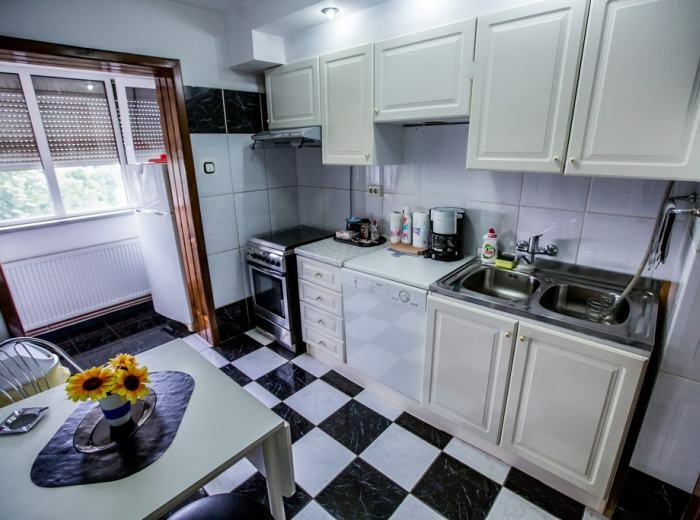 From this short term rental studio in the central university area you can reach, in only 10 minute walking the city center where there are 2 large main squares: Union Square or "Little Vienna "and Opera Square (Victoria Square). Here you can see a good drama at the Romanian Opera or visit the Metropolitan Cathedral and the famous Banat Museum, two sights that must necessarily be included in your holiday album. In front of this short term studio there is a taxi station [24/7] and a tram station (5:30 -00:30) to all the major points in the city. For one shopping day or for a good movie at Cinema City, in the giant Iulius Mall shopping center and Auchan you can go on foot, no more than 15 minutes or by taxi (only 1.5 €). Taxi is not a luxury, everyone uses it (+4 0256/940 Radio taxi). For young people who want to party, let me inform you that the famous discos Heaven Studio and Club No Name, with their very popular pools and outdoor pubs are only 300-400 m away from the apartment, as well as Thermal Swimming Pool (central) and other top clubs: the Manele Club ZHH, Fratelli, River Deck, Le Sinema, Madness, Porky's and Happy Club. The last two clubs are opened every night in the campus. Not far away from the studio there are other nice clubs around the students’ area: Zambara, Moly Malone, Scottish Pub and The Notes found in the center, as well as the most trendy bars: Cafe de Paris and Jazissimo (near Zambara) and Fashion (near Le Sinema). In winter you can enjoy two new spa centers with modern pools and sauna (Termalum spa and Do Style). For details about the nightlife in the Students’ campus near studio 3, please see the points of interest on the map! The only live casino within a radius of 500 km around Timisoara, the modern Metropolis Casino opened a few months ago is located very close to studio 3. ● Mac Donald's restaurant [24/7] is 300 m away from studio 3, you can have a short walk to it. Very close to this accommodation, in the campus, you can eat without spending a lot of money. Fast food restaurants for students are opened [24/7] and you can have a hamburger, an Arabic shawarma or a kebab for only 2 €. It is hard to find them in other places. The shop "Nova Tim" is at 200 m away from studio 3, a big store opened 24/7 in Timisoara. 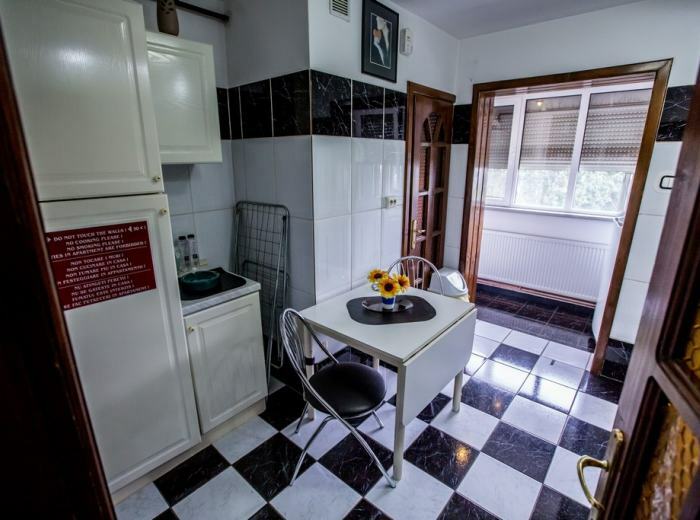 This short term rental studio brings you closer to any cultural, sports or commercial event: great fairs, concerts, football matches, beer or wine festivals. The famous stadium "Dan Paltinisan" is at only 200 m away from studio 3, and the "Regional Business Center "(CRAFT) and the "Olimpia " gym are only at 70 m away. So if you want to do some exercises during the holidays, this gym will satisfy your needs in terms of equipment for strength and fitness. There is also a big park near the apartment, the Bihor park, for children. Those who come with their family will spend great afternoons with their children. I can guarantee you that.